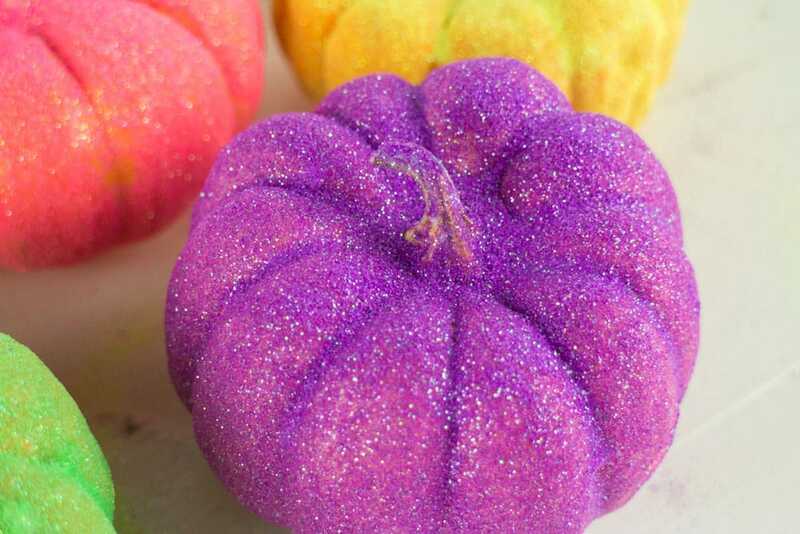 Rainbow Glitter Pumpkins - Quick Halloween Craft for Preschoolers! 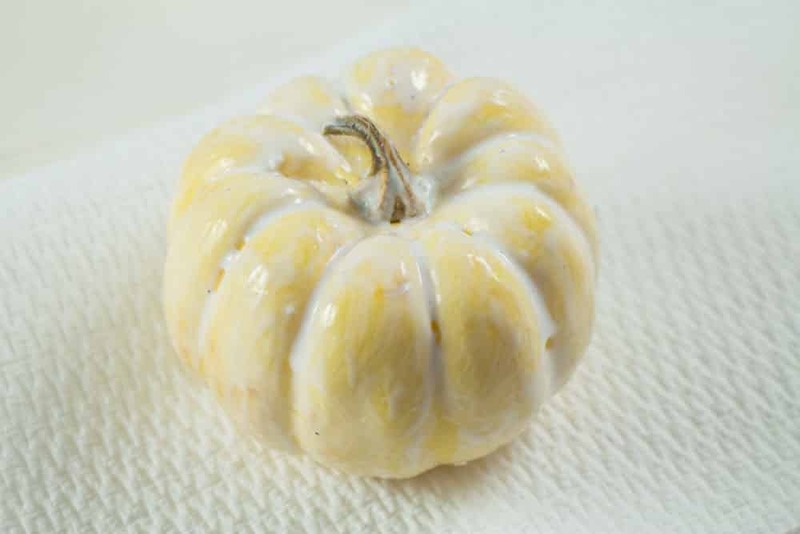 Put a little Mod Podge on your paper towel and spread on your pumpkin. 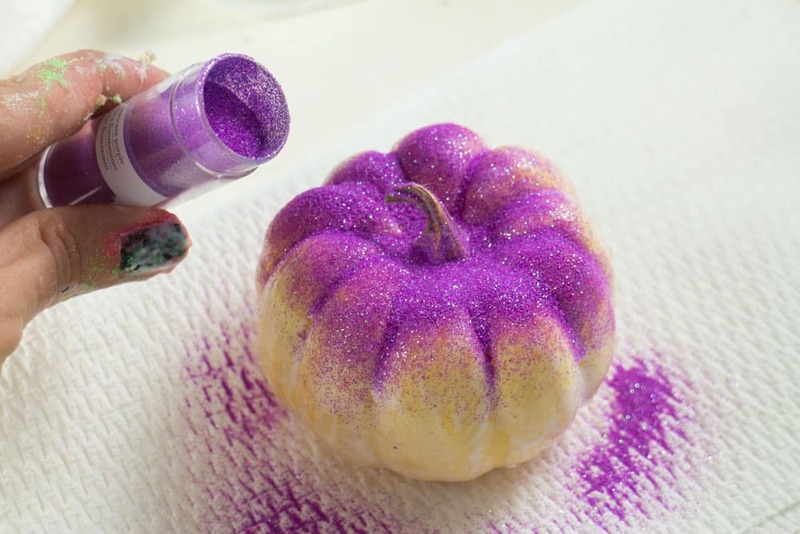 I recommend placing the pumpkin on a paper towel because once you start sprinkling glitter it’s going to get messy. 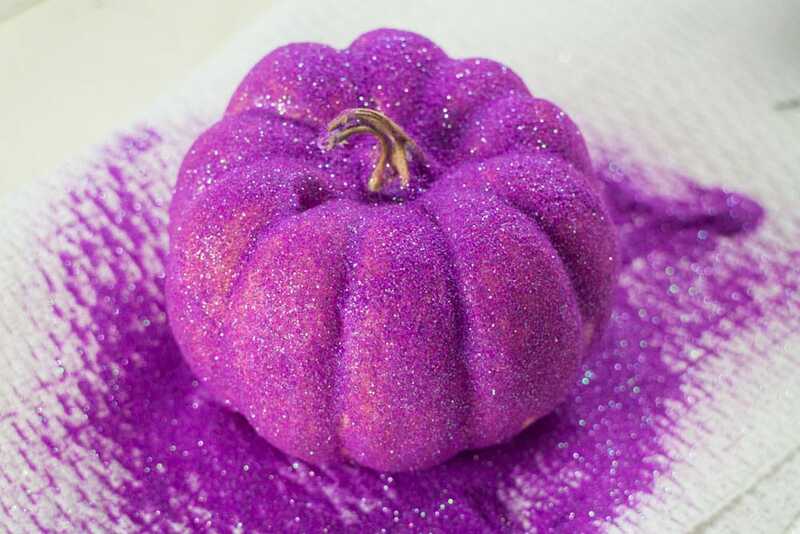 Then very gently (remember a little goes a long way) sprinkle your glitter all over your pumpkin. Once it’s covered (don’t forget the bottom), let it sit for 30 minutes to dry. 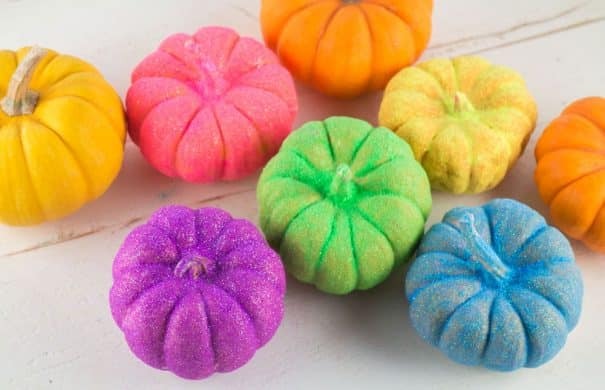 I used a bunch of colors for my pumpkins to turn them into rainbow pumpkins. The glitter I used ended up being really bright, including the yellow which is usually a hard color to turn bright! 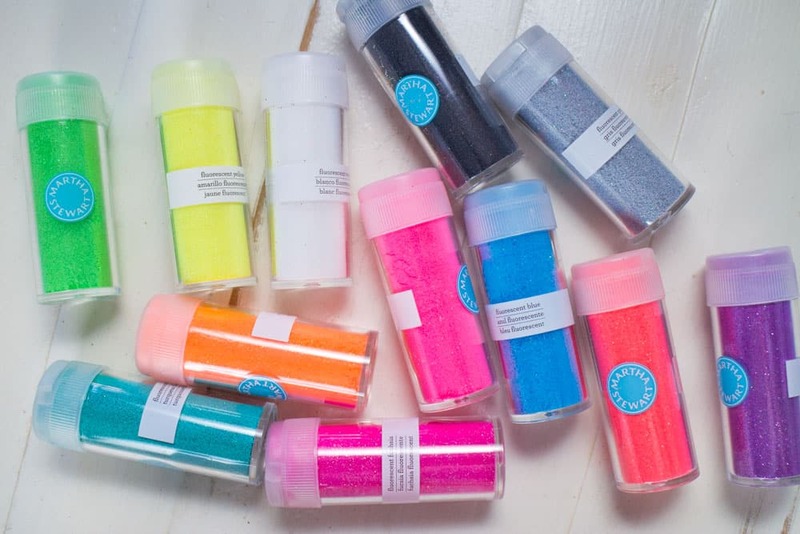 I got this 12 pack of neon glitter on Amazon for $12. The glitter comes in bright colors and even though the bottles are little they last a while. I loved decorating our entire house with these pumpkins! I even added some to my home office to add some color! This also makes a great gift to a school teacher to add to their classroom! 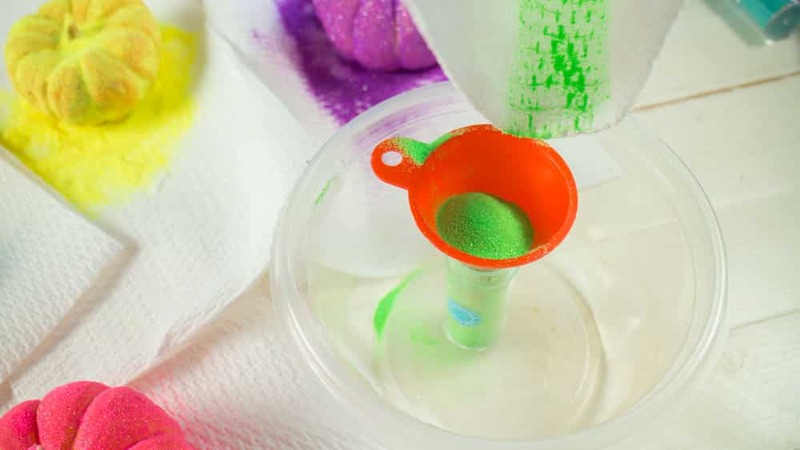 Because glitter is expensive and I don’t like wasting things, once I was finished I picked up all the paper towels that had excess glitter on them and used a funnel to add them back to their jars. Aren’t you glad you used paper towels for this? If you make these, I’d love to see the results! Be sure to post it on Instagram with #brooklynfarmgirl and I will feature it! Here’s my how to craft video that walks you through all the steps. 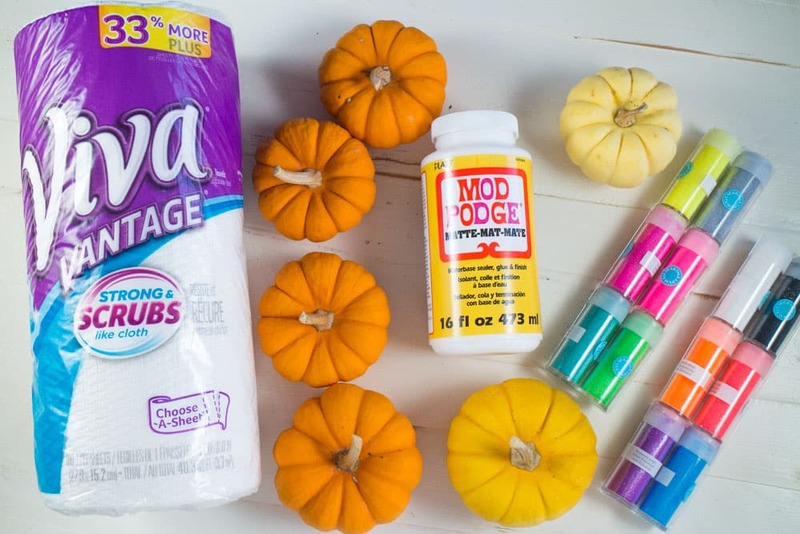 Hope you liked this easy Halloween pumpkin craft! Looking for pumpkin recipes? Try my Fresh Pumpkin Pie, Pumpkin Whoopie Pies and 5 Ingredient Pumpkin Cookies! 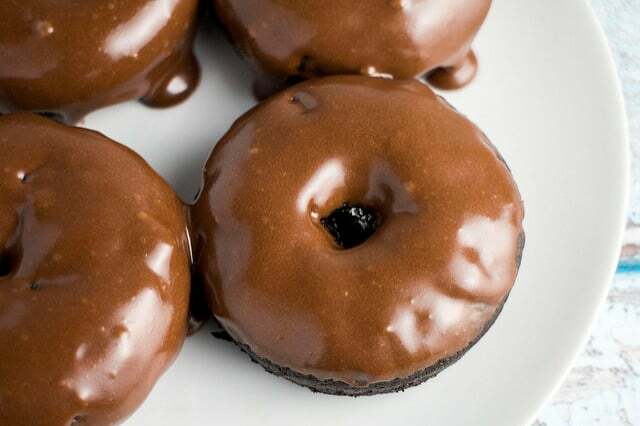 Wow, these look great! And loads of fun to make. Very creative — thanks. 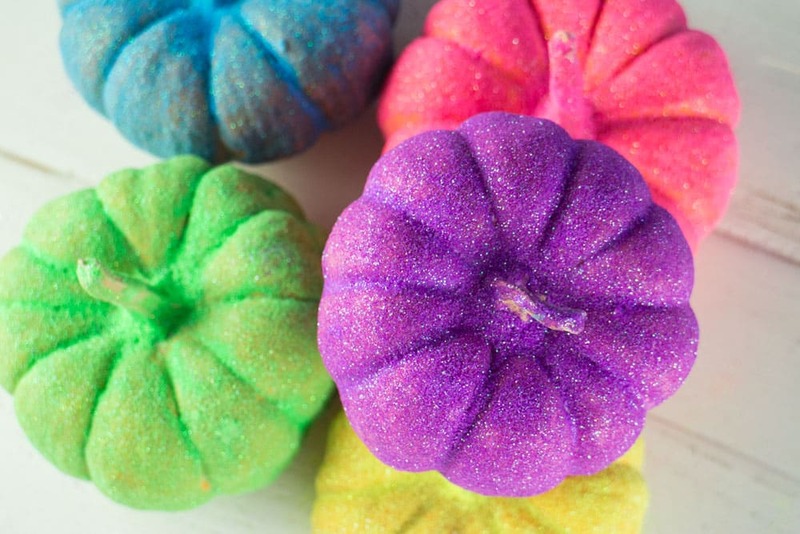 Pamela…how fun…I love the colors of these pumpkins…very creative! I think I need to go out and buy some new glitter. What amzing colors they have now that my kids are all grown up! What a fun project! 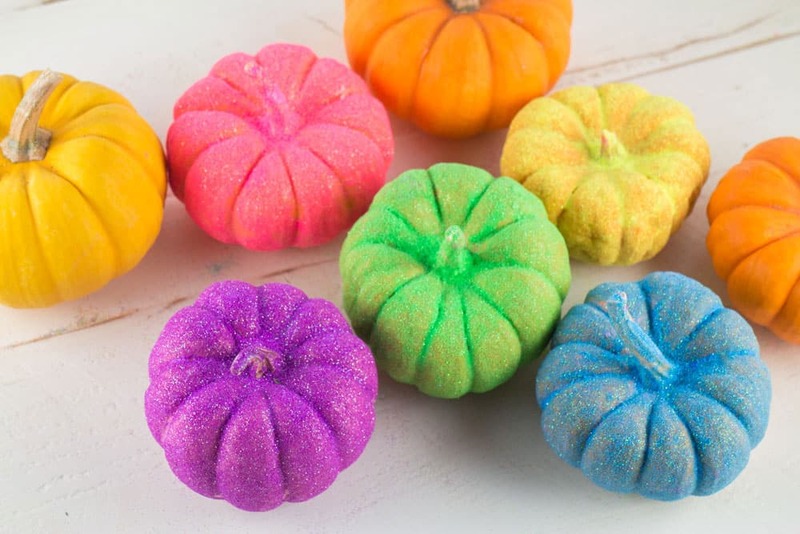 these pumpkins are adorable, love the bright colors.!! Ooh, I love these! They’re so pretty. I would have never thought to do this. You are right though, everything is better in rainbow! These are adorable!! I love having Halloween decorations that are not just orange and black!! This is a great fall idea! 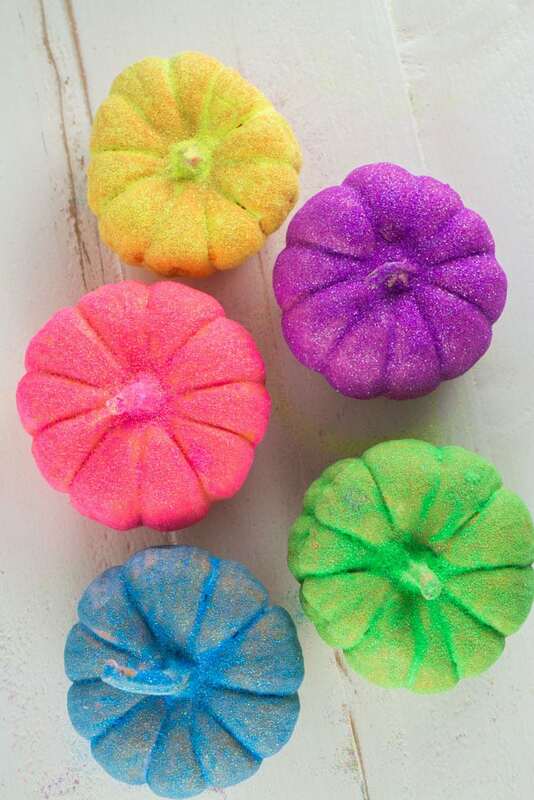 I love the colors used to decorate the Munchkin pumpkins. Love, love, love! They’re colorful and sparkly! Amazing! 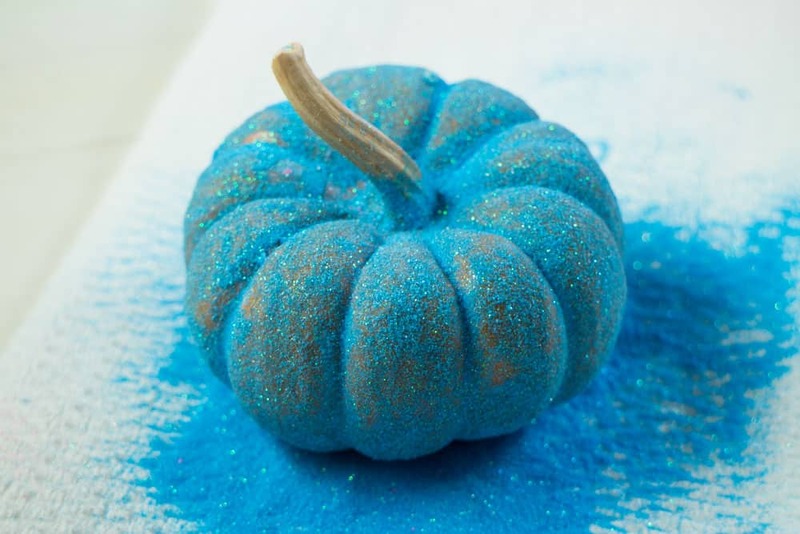 Such a great Halloween craft! 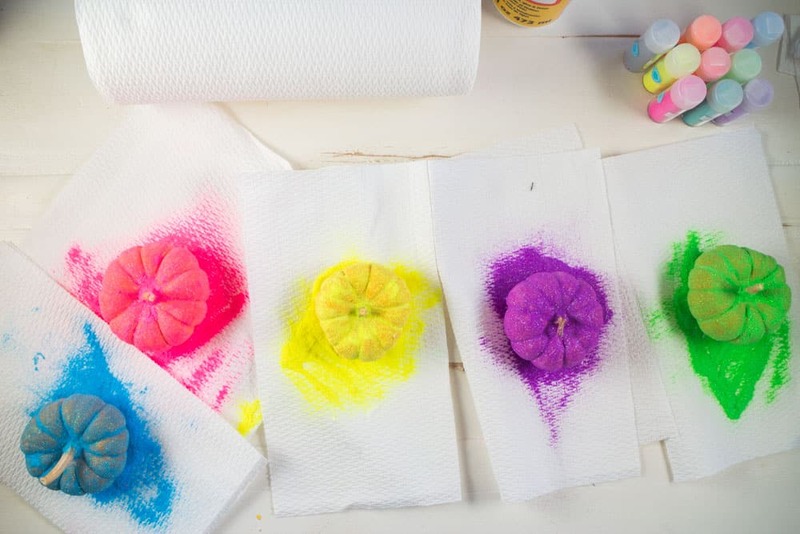 I can’t wait to make these for my kids! Thank you for sharing!! My 3 year old would love these. Thanks for sharing the idea.